This grilled cheese surpasses any you've tried before, with an adventurous combination of international flavors. 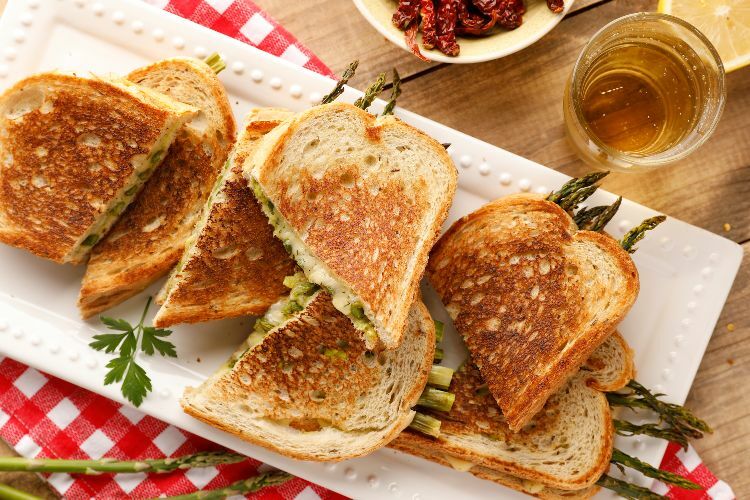 The recipe pairs avocado and asparagus with dill Havarti. A hearty German rye bread is the perfect accompaniment to stand up to all of that flavor. German rye, also known as schwarzbrot, can be a bit delicate, so it's important to proceed carefully when griddling your sandwich. Use a fish spatula for best results so that the bread does not fall apart when you flip the grilled cheese. Preheat the oven to 400 degrees Fahrenheit. 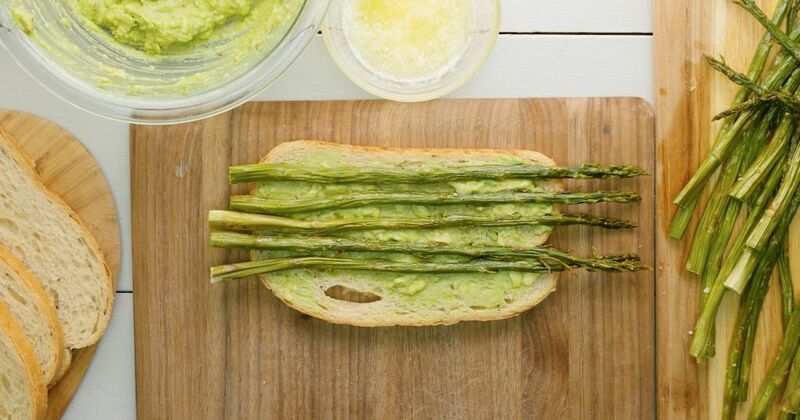 Toss the asparagus with the oil and the salt, and lay out in one even layer on a baking sheet. Roast for 20 minutes or until cooked through and slightly caramelized. Cut into lengths as long as the slices of bread, then set aside. Scoop the avocado into a bowl, then add the lemon juice, chili flakes, and salt. Use a fork to mash together, then set aside. Butter both sides of the rye bread slices. Spread the avocado purée evenly over four of them, then add the asparagus, pressing them into the avocado slightly. Top with the Havarti, then close the sandwiches with more bread. Heat a nonstick pan over medium heat. Cook the sandwiches, working in batches if needed, for four minutes per side. Halve and serve.